ondon- Crosby Lockwood and Son, 1897 Book. GOOD ONLY. Hardcover. First edition.. A first edition of this fascinating work on tea planting and manufacturing. 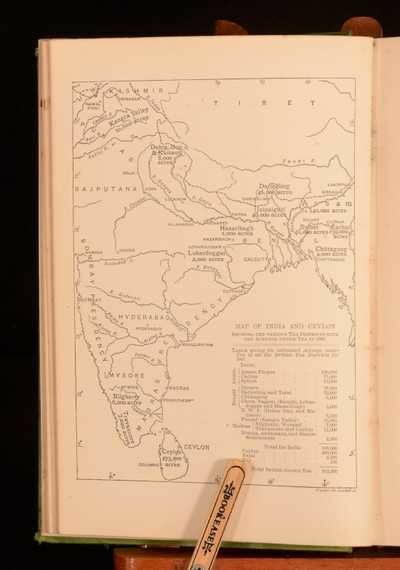 Complete, with four full pagemonochrome plates and a map of India, showing the tea growing regions. With advertisements to the rear. Crole's workdetails a wide scope surrounding tea, from the proper brewing method, to the history of the plant. Crole lived inthe tea growing region of Assam, alongside other tea growing regions in India and Ceylon (SriLanka) before returningback to the UK. Condition: In a green cloth binding with gilt detail. Externally rubbed, causing some loss tothe gilt on the front board and spine. Some wear to the extremities and bumping to the head and tail of the spine. Cloth lifting to the rear board. Front hinge is tender. Rear hinge slightly strained but firm. Internally generally firmly bound. Pages generally bright and clean, with just the odd spot. Overall: GOOD ONLY.